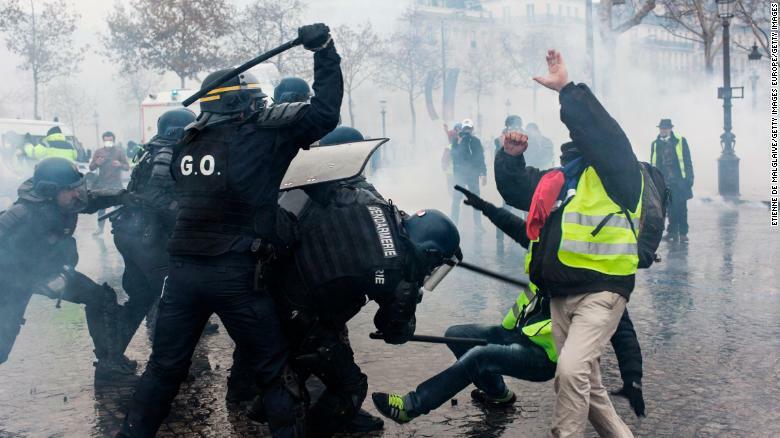 The French government is considering “all options” to control protests against rising fuel prices that have turned violent in Paris over the last three weeks, a spokesman said Sunday. Protesters and riot police clash during the “yellow vest” protests in Paris on December 1. 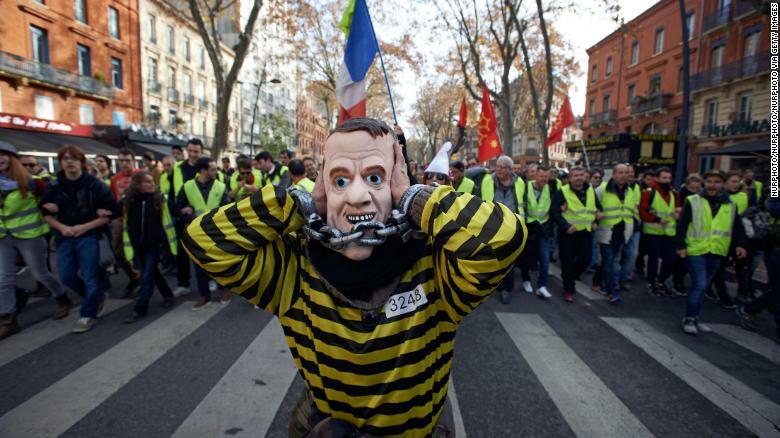 Demonstrators with the “gilets jaunes” or “yellow vest” movement call for the French President Emmanuel Macron to resign at a demonstration last month.